Berlin is full of monuments, memorials and historical sites and it is nearly impossible to know all of them. 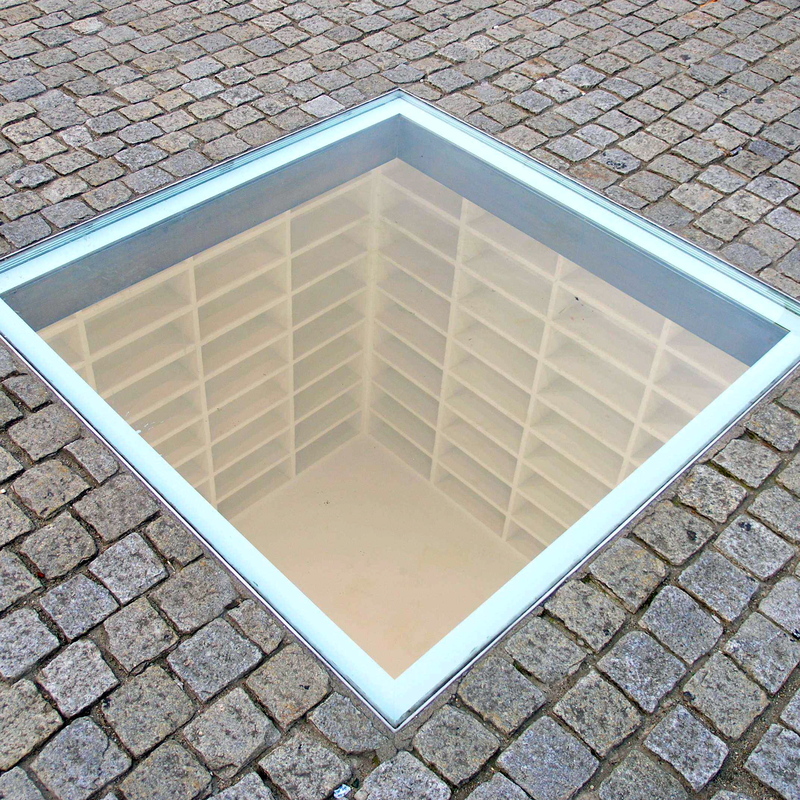 But there is one that touches me every time I see it – the memorial for the book burning on Bebelplatz. Accompanied by the jubilations of countless German students and members of national socialist institutions the book burning took place right here on May 10th 1933. It is the place where the destruction of everything that wasn't in line with the thinking of the majority started. Jewish, communistic and anti-nationalistic literature was ablaze. If you reach Bebelplatz today, there is nothing remembering that tragic night on first sight. The Memorial "Bibliothek" (English: Library) designed by Jewish artist Micha Ullmann is below ground. It doesn't disturb the historical architecture around, yet it is present and visible from above. Underneath a glass pane you can see a small room with walls covered in empty bookshelves. It is impressive what empty bookshelves can trigger. The room seems lifeless, dead and sad, almost like a prison cell. A desolate future would have awaited us if every free thought in literature would have been lost. At night time the light in the chamber is always on to symbolizes the indestructibleness of the liberty of thoughts. It truly is a special memorial that is definitely worth a visit. At night time even more so.